AZ Environmental Contracting, Inc. offers full service mold remediation by experienced, qualified and certified technicians. Not all projects require professional mold remediation. Some minor problems can be handled by the home or property owner, following simple guidelines, precautions and recommendations. We will provide you with current industry guidelines and recommendations, as well as a comprehensive estimate for your project so that you can make an informed decision on how you proceed and which, if any, remediation contractor you decide to proceed with. We are there for you whenever the project is too big, challenging, or just downright intimidating. You can rest assured that we will provide you with a fair price for our excellent service, that doesn’t take advantage of you when your back is to the wall. Our set pricing guidelines will help ensure transparency in our estimating and billing process, and we will always be more than happy to sit down and explain our procedures, step by step, before we begin. 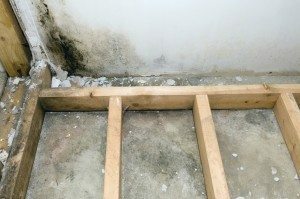 Concerned about mold in your home? Contact us for a no-obligation consultation through our web form or call 623-734-5536.